Prepare concept plans based upon client brief and/or ideas to better understand the overall design building project. On more complex designs it is required to prepare design and development documents to enable construction details to be clarified and building regulations complied with. We have the ability to contract administer your project through the building stage. Our role is act on behalf of the client as a 3rd pair of eyes to review the building contract, ensure all clauses in the contract are met, variations are controlled and when stage payments are required, that all works needed to be completed are done. 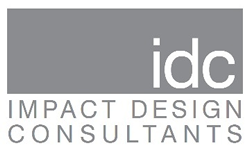 All of the above consultants are readily available to idc and are more than happy to assist us in achieving your project goals. Some projects require many of these consultants, some less. We are able to advise you with your design in the early stages what is relevant to your particular project.